Step by step. . .
Last Wednesday, the Dallas City Council voted unanimously in favor of a resolution to do whatever it takes to develop an additional 700 units of permanent supportive housing as a part of Dallas' commitment to end chronic homeless. Brad Watson of WFAA Channel 8-TV reports on the historic vote here. For certain, we are a long way from the finish line, but at least the race is on! Central Dallas Ministries plans to be in the thick of things until we've completed the development of the much needed housing. The stock boy and the checkout girl. . . In a supermarket, Kurtis the stock boy was busily working when a new voice came over the loud speaker asking for a carry-out at register 4. Kurtis was almost finished and wanted to get some fresh air, so he decided to answer the call. As he approached the checkout stand, a distant smile caught his eye ~ the checkout girl was beautiful. She was an older woman (maybe 26, and he was only 22) and he fell in love. Later that day, after his shift was over, he waited by the punch clock to find out her name. She came into the break room, smiled softly at him, took her card, punched out, and then left. He looked at her card, BRENDA. He walked out only to see her start walking up the road. Next day, he waited outside as she left the supermarket, and offered her a ride home. He looked harmless enough, and she accepted. When he dropped her off, he asked if maybe he could see her again, outside of work. She simply said it wasn't possible. He pressed and she explained she had two children and she couldn't afford a babysitter, so he offered to pay for the babysitter. Reluctantly she accepted his offer for a date for the following Saturday. That Saturday night, he arrived at her door only to have her tell him that she was unable to go with him. The babysitter had called and canceled. To which Kurtis simply said, "Well, let's take the kids with us." She tried to explain that taking the children was not an option, but again not taking no for an answer, he pressed. Finally Brenda brought him inside to meet her children. She had an older daughter who was just as cute as a bug, Kurtis thought, and then Brenda brought out her son, in a wheelchair. He was born a paraplegic with Downs Syndrome. Kurtis told Brenda, "I still don't understand why the kids can't come with us." Brenda was amazed. Most men would run away from a woman with two kids, especially if one had disabilities ~ just like her first husband and father of her children had done. But Kurtis was not ordinary ~ he had a different mindset. That evening Kurtis and Brenda loaded up the kids and went to dinner and the movies. When her son needed anything, Kurtis would take care of him. When he needed to use the restroom, he picked him up out of his wheelchair, took him, and brought him back. The kids loved Kurtis. At the end of the evening, Brenda knew this was the man she was going to marry and spend the rest of her life with. A year later, they were married and Kurtis adopted both of her children. Since then they have added five more kids. So what happened to Kurtis the stock boy at a grocery store in Cedar Falls, Iowa and Brenda the checkout girl? Well, Mr. & Mrs. Kurt Warner now live in Arizona where he is currently employed as the quarterback of the National Football League Arizona Cardinals. Warner and his Cardinals will play in the Super Bowl tomorrow evening. Is this a surprise ending or could you have guessed that he was not an ordinary person. It should be noted that he also quarterbacked the St. Louis Rams in Super Bowl XXXVI...and he has also been the NFL's Most Valuable Player twice and the Super Bowl's Most Valuable Player. The Warners established the First Things First Foundation in the spring of 2001 to bless the lives of those less fortunate with projects such as trips to Disney World for ill children, building recreation centers in children's hospitals, helping single moms achieve the dream of homeownership, and teaching Special Olympians the football basics. All projects are centered on Kurt and Brenda's life theme: faith and family come first. The official website is: http://www.kurtwarner.org/. You think you have tough choices to make these days? But nothing quite like this. 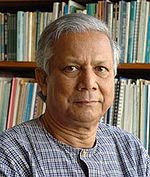 Grameen Bank founder, Muhammad Yunus believes that companies engaged in capitalist enterprise can have a dramatic affect on poverty. He is not alone. We're reading more and more these days about "social enterprise" as a tool for impacting impoverished communities. Last week I sat in on the final sessions of the annual meeting of a Fortune 500 company held here in Dallas, Texas. I was encouraged and, frankly, overwhelmed to hear and see this major worldwide corporation's plans for and growing commitment to social enterprise here in the U. S. and around the world. The notion of making a profit after factoring in the cost of social benefit is intriguing to say the least. Doing well while doing good is an idea to which Yunus subscribes, as you will see here in his address on The Social Business Model. 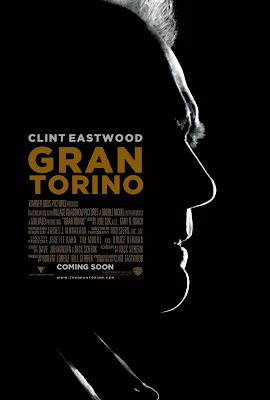 Gran Torino is a must-see film for community builders. 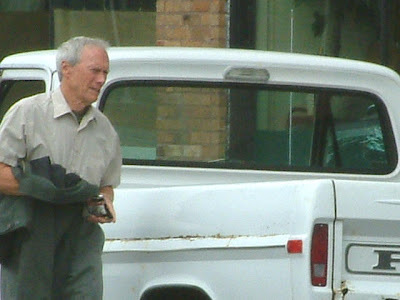 I got the feeling watching it that Clint Eastwood did this film because he knew it needed to be produced. Walt Kowalski, Eastwood's character, a veteran of the Korean War , lives in a radically changed community in Detroit, Michigan. His long-time home neighborhood is now populated largely by immigrants. Take a look at this trailer here. Kowalski's relationship with his priest, Father Janovich, played by Christopher Carley, and the family next door evolves over the course of the story. Both become determinative for him as his own understanding of community and his own humanity grow. The Hmong family who are neighbors, led by teens Tao (Ben Vang) and Sue Lor (Anhey Her), welcome him into their lives in ways that are infinitely more satisfying than his experience with his own children who are disconnected from him following the death of his wife. The interplay between Kowalski and his young protege, Tao, as it relates to his immaculate 1972 Ford Gran Torino is more than fun to watch. The messages from the film are many, and will be obvious to those who spend their days at the work of building community against the barriers of race and class and clan. This is a graphic film (containing tough language!) about reconciliation, redemption and authenitc love expressed across racial, cultural and generational lines. If you've seen it or once you've seen it, I'd love your take on the film. Speaking of community building, you've got to read Gerald Britt's latest Op-Ed essay in today's issue of The Dallas Morning News right here. Mark your calendar: JUSTICE REVIVAL coming to Dallas! Dallas area churches and church leaders are collaborating to bring a "JUSTICE REVIVAL" to Dallas, Texas! Mark the dates on your calendar: November 10-12, 2009 at Market Hall. 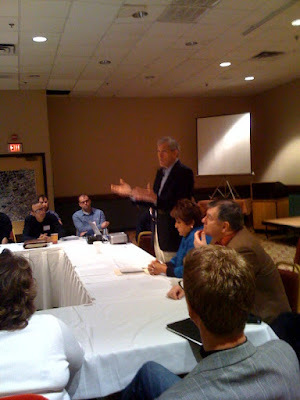 The preacher for this 3-day meeting will be Sojourners founder, Rev. 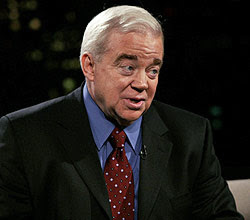 Jim Wallis. As he outlined in his latest book, The Great Awakening: Reviving Faith & Politics in a Post-Religious Right America (order thru CDM below to the right), Wallis makes a direct connection between religious, faith revival and all of the great movements for justice and social change. Historically it has been the case that whenever people come to faith, communities change for the better--slaves find freedom, voting rights are spread, public policy is better informed, economic justice arrives and the ways of heaven are realized on earth. There is no real revival without accompanying societal change. Unless what is preached is, in fact, "good news to the poor," our message and our plans are all wrong. Plan now to join us for this revival of faith and community action! If you are interested in being involved in the planning of the event, send your email address to me at ljames@CentralDallasMinistries.org. 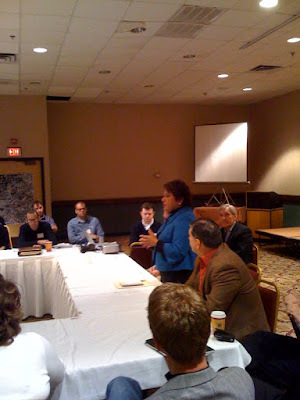 Enjoy a peek inside the Justice Revival that took place in Columbus, Ohio in 2007 right here. The U.S. Senate is currently debating the Children’s Health Insurance Program (SCHIP) Reauthorization Act of 2009 (S. 275). SCHIP helps ensure that children have access to affordable, comprehensive health coverage. It's one of the most effective public programs in the country. SCHIP has helped cut the rate of uninsured children by about one-third since 1997. If reauthorized, this program could reduce uninsured numbers nationwide by two-thirds. In the current economic recession, SCHIP is more important than ever: polls consistently show that health care costs are one of the top concerns among families in tough times. Vote NO on any attempts to weaken the bill's coverage for properly documented immigrants. To find your U. S. Senators' contact information, go here. E-mail, call or FAX an expression of your support today! Nobel Peace Prizer winner Muhammad Yunus, the founder of the world's largest micro credit lending network in the world, the Grameen Bank, understands that poverty is not the fault of the poor. People are poor largely thanks to forces at work outside of their control. The vast majority of the world's poor work incredibly hard and want to do better. The lack of credit, education, proper nutrition, access to transportation and the unrelenting struggle to simply survive keep the poor trapped in poverty. Yunus' vision is of a "poverty-free world." One of his trademark statements is that "the word human and poverty should never be used in relation to one another." People were not meant to be poor. Listen to his wisdom here. America's economy and markets are quite different from those of the developing world. How do we apply Yunus' values and vision here? Which fast to choose? Which wolf to feed? Rev. Sharron Watkins became the first woman to preach at the National Prayer Service, conducted since the days of Washington, as the conclusion of the presidential inauguration. Her message was very powerful. I found her exposition of Isaiah 58:1-12 powerful. Especially challenging was the distinction she drew between a "self-interested fast" and a fast that touched and transformed the lives of suffering people and their communities. The sermon got right at our obsession with all things individualistic. What you'll find here is more than worth your time. Life and our common future are all about choices. Will we choose the "self-interested fast" or something much more essential? Central Dallas Ministries "planted" Urban Connection--Austin in 2007. As in San Antonio, our first step was to identify a fully committed leader. We found that person in Dean Smith. Read a report in Community Impact Newspaper about the progress UC-Austin is making. Dean is a great community organizer. His success in gathering as many interested parties as possible explains the progress that we've made in our state's capitol city. To learn more visit the UC-Austin website. To get in on Dean's thought process and operating values, check out his blog while you are there. Catholic Charities of Dallas Immigration and Legal Services invites you to participate in the North Texas Justice for Immigrants Network. We need your help NOW to build and develop a network of informed advocates who will be prepared to promote comprehensive immigration reform during this important year. are concerned about the welfare of immigrants in our communities. Please join us at the first meeting of the North Texas Justice for Immigrants Network on Friday, January 23, 2009 (TODAY!!!) from 3:30 p.m. – 4:30 p.m. at Catholic Charities of Dallas Immigration and Legal Services, 5415 Maple Ave. Ste 400, Dallas, Texas 75235. For a map click here. Lite refreshments will be provided. Erin Pederson (214) 634-7182 Ext. 239 or Jennifer Nettle (214) 634-7182 Ext 230. The good power of the streets. . .
Our work is about connecting people to one another to achieve a strength that none can possess alone. Our work is about the creation of fellowship. Our work is about faith. Our work is about linkage with the Creator, it's about the Spirit, it's about redemption. Our work is about ending isolation and its death. Our work is about finding life, eternal life beginning today. Our work is about a song. Our work is about standing together. Our work is about the recognition of the raw, human goodness that lurks everywhere we journey in the city that can be converted into powerful community. Our work is about a song. Did I already mention that? Thanks, Mike for putting me onto this video. You can't know what it means to me. For more insight on Rev. Joseph Lowery's benediction at the close of the Inauguration last Tuesday, check out Gerald Britt's post here. So much to remember of which most of us have never been aware. Those who do remember, those who were there, those who felt the pain, and were touched by the hate and the death, those are the people to whom I will give my undivided attention for as long as they will allow me to be taught. Certainly, these teachers must not be dismissed in haste as if all is forgotten and well. We watched in focused amazement the story of U.S. Airways Flight 1549 last Thursday. Thanks to the heroic efforts and obvious skill of pilot Chesley B. "Sully" Sullenberger III and a host of rescue workers and cooperative passengers, everyone escaped the crash landing in the middle of the narrow Hudson River just west of Manhattan. Everything went right. Everyone rose to the occassion. The crisis of the moment drew perfect strangers together in quick, decisive, seemingly closely coordinated and effective action. Everyone lives when most could have died. Crisis fast-forwards the creation of community. Community finds a way to save life, even when it requires a miracle. This is an event and a moment to be cherished, even enjoyed, celebrated. It also provides a bit of a challenge to folks concerned about community renewal and re-development. Obviously, things don't always move quite so quickly in a community crisis. At times of violence or natural disaster, they can. And, in those moments of life and death, people often respond heroically and sacrificially. But in the everyday moments, we don't typically step up so effectively. Reframing our understanding of the current crisis facing communities in the inner city neighborhoods of cities like Dallas, Texas is essential to any progress, improvement or the saving of lives. If we learn to actually recognize and face the crisis together, might we unite more quickly, less selfishly, more effectively and more heroically? Captain Sullenberger, his crew, his passengers and everyone who witnessed and responded so quickly to the crash have me thinking. Lots of white Americans remain bewildered by the feelings and comments of some black Americans, especially those of a generation ago (just see the comments on one of my posts from yesterday!). The legacy of segregation, Jim Crow, lynchings, and a system born of prevailing racism shaped all of us as a people, and it infected our systems and institutions where it still lingers today. Frankly, our national story to date has not been completed, not fully reported, not sufficiently understood and certainly not appropriately honored. On Monday, I listened to a fascinating report on NPR's new program, "Tell Me More," moderated by Michel Martin. "Built by Slaves: A Capitol History Lesson" is worth your time. Most of us don't realize that the rotunda of the capitol was built from ground to dome by slave labor. Did you realize that the statue Freedom atop the capitol dome was the work of Philip Reed, a slave who saw the work of his hand and heart lifted to the top of the dome on December 2, 1863, by which time he had been freed? Slaves cut the stones of the capitol walls and their masters were paid $5 per month for the labor of each worker. Eight paintings grace the walls of the Capitol Rotunda. A history frieze is painted around the inner perimeter of the rotunda. The frieze ends with the Civil War. An original painting depicted Abraham Lincoln delivering the Emancipation Proclamation. This painting was later removed and replaced by a portrait of a Union soldier shaking hands with a Confederate soldier. Not until the Congress acted in the mid-1980s did the Capitol enjoy the presence of a sculpture of any African American national leader. It was at that time that our representatives commissioned the depiction of Dr. Martin Luther King, Jr. shortly before the establishment of his birthday as a national holiday. Listen to the report. View the photos. Open your heart of a huge group of people who have reason to be rejoicing today, but who also need us to agree that we will not forget. If you haven't found it yet, the new website for the White House is really something! 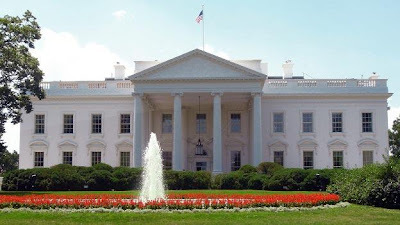 Combining plenty of space for policy debate and citizen interaction--including a blog page--with great history of the Presidency and of the home of the nation's First Family, this very interactive, comprehensive website is very interesting. Today we celebrate America with the inauguration of our 44th President, Barack Hussein Obama. What a day it promises to be for all of us. This week Parade Magazine published a letter that President Obama wrote to his daughters, Malia and Sasha. As I read the new president's words, it became very clear that this man is first and foremost a dad who loves his children. As I thought more about the content of his letter, I realized that the message here could serve well as an agenda for our work. When I was a young man, I thought life was all about me-about how I'd make my way in the world, become successful, and get the things I want. But then the two of you came into my world with all your curiosity and mischief and those smiles that never fail to fill my heart and light up my day. And suddenly, all my big plans for myself didn't seem so important anymore. I soon found that the greatest joy in my life was the joy I saw in yours. And I realized that my own life wouldn't count for much unless I was able to ensure that you had every opportunity for happiness and fulfillment in yours. In the end, girls, that's why I ran for President: because of what I want for you and for every child in this nation. I want all our children to go to schools worthy of their potential-schools that challenge them, inspire them, and instill in them a sense of wonder about the world around them. I want them to have the chance to go to college-even if their parents aren't rich. And I want them to get good jobs: jobs that pay well and give them benefits like health care, jobs that let them spend time with their own kids and retire with dignity. I want us to push the boundaries of discovery so that you'll live to see new technologies and inventions that improve our lives and make our planet cleaner and safer. And I want us to push our own human boundaries to reach beyond the divides of race and region, gender and religion that keep us from seeing the best in each other. That was the lesson your grandmother tried to teach me when I was your age, reading me the opening lines of the Declaration of Independence and telling me about the men and women who marched for equality because they believed those words put to paper two centuries ago should mean something. She helped me understand that America is great not because it is perfect but because it can always be made better and that the unfinished work of perfecting our union falls to each of us. It's a charge we pass on to our children, coming closer with each new generation to what we know America should be. These are the things I want for you-to grow up in a world with no limits on your dreams and no achievements beyond your reach, and to grow into compassionate, committed women who will help build that world. And I want every child to have the same chances to learn and dream and grow and thrive that you girls have. That's why I've taken our family on this great adventure. I am so proud of both of you. I love you more than you can ever know. And I am grateful every day for your patience, poise, grace, and humor as we prepare to start our new life together in the White House. An agenda worthy of our best efforts, don't you think? Take a few moments and just listen. Yet, in regard to values, we discover right here about all we need to know for rebuilding urban America after the order of "the beloved community" that meant so much to Martin Luther King, Jr.
DREAM Act: We need it passed NOW! 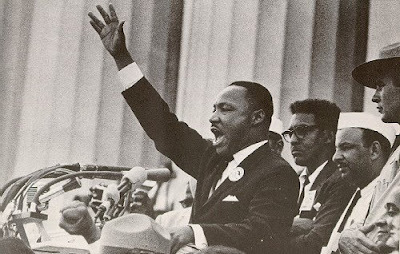 Today the nation honors the memory of Dr. Martin Luther King, Jr. Possibly no other American did more to expand the boundaries of freedom, inclusion and justice. On this day of national remembrance, action is needed to extend welcome and freedom to a special group among our neighbors. Millions of children of undocumented immigrants now in the United States need immediate relief in the form of legal status, and they need it now! 1) Use the "Search" tool above and type in DREAM Act. 2) Visit Change.org's site here to learn about how you can drive this legislation forward for the good of our nation and, especially our inner city neighborhoods. Vote today! I can think of no better way to honor Dr. King's memory and legacy. Your reactions will be appreciated. I've always appreciated Norman Lear. His creation of "All in the Family" brought Archie Bunker into every American home at a time when we needed to come to grips with the divisions that plagued our nation. In the early days of my marriage, my father-in-law referred to me as "meat head." I wore the tag with pride! Lear's latest interest has him encouraging the creation and growth of a new brand of patriotism. You can view and experience the website of Lear's Born Again American here. Be sure and pay attention to the words of Keith Carradine's moving song. The focus is not new. It is a restoration movement actually--a call backward to the Constitution with a vision forward to working out the implications of those values in our new day in the United States. The theme song that you'll hear and see performed when you visit the site is moving lyrically and visually. It is a call to each of us to work hard to restore justice, to ensure equity and fairness and to promote authentic opportunity in the beloved community that can be America. I find a healthy balance here of moral challenge and hope. I know in the communities where I word, the message and the movement is needed. Staying involved in the national political and policy process is a must for all of us. This has been an emotional weekend for me. I watched and listened all day yesterday as President-Elect Obama and his family took the same journey as President Lincoln down the railway line from Philadelphia to Washington, DC in preparation for the historic events awaiting them and us all on Tuesday. Tomorrow we honor the memory of Dr. Martin Luther King, Jr.
How fitting that our new President will be sworn in the following day. We stand on the brink of a new era as a nation. The challenges will be incredibly difficult. Never before have the values of community been more important, never more essential. The notion of being a "born again American" may sound strange to you. But at a time like this time, nothing will be more important to us as a people than a recovery of the hopes, visions and values of our constitutional democracy. Standing together--diverse, strong, determined, welcoming and committed to freedom--we will continue to overcome. Six years ago, Central Dallas Ministries planted an urban ministry outpost in San Antonio. We started with a great leader, Leslie Kelsie-Grubbs and a strategic location, Lincoln Heights Courts on the tough west side of this important city. We called our new operation Urban Connection--San Antonio. Today the ministry thrives. Last last year, UC--SA became an independent non-profit corporation when it received its 501 ( c ) 3 status. The organizational by-laws direct that CDM will always seat two members on the board of directors. So, CDM will continue to be involved in a very hands-on way with UC--SA. Read more about the progress in the San Antonio newspaper today. Check out the UC--SA website here. Congratulations to Leslie and the entire UC--SA team! Drop into my world for a moment. . .
Take a moment to drop into my world for just a moment by going here. 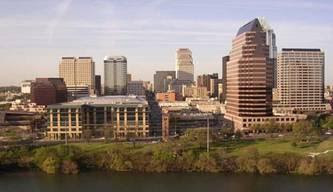 This e-magazine format allows us to get the word out about what we are doing here in inner city Dallas. After you've "turned the pages" and watched the on-site messages, I'd love to get your feedback on what you see, as well as the format. As we prepare to honor Dr. Martin Luther King, Jr. on Monday, my mind turns back to the awful April evening almost 41 years ago now when he was assassinated in Memphis, Tennessee. Like most people alive and beyond childhood at the time, I can remember exactly where I was when the news arrived. Just as word of the nation's terrible loss began to spread across the country, Senator Robert F. Kennedy rose to inform a crowd in Indianapolis of the tragedy. His words are worth watching here. May the work of Dr. King continue. May his memory, his message and his values shape our lives and inform our actions. Sad facts of life in Texas. . .
Jan Pruitt, President and CEO of the North Texas Food Bank and a key national player in the Feeding America, network of food banks, sent me a briefing paper (part of which follows below) that will inform some of our "educational efforts" with our legislators during their 2009 session. Hunger is a huge challenge in Texas. Food quality and health go hand-in-hand. We've got to find ways to do more and to do better. 1 in 5 Texas children is medically obese. Many others suffer from overweight. As these children age, they will raise the number of obese Texas adults to 46.8%, contributing to a statewide annual cost to employers of $3.3 billion. 1 in 4 Texas children lives in a household without enough food. These children are more likely to have cognitive, motor, emotional and behavioral problems, multiple health deficiencies and poor grades. As these children age, they will exhibit lowered productivity and increased health care costs, contributing to a statewide annual cost of $9.8 billion. Hunger, poverty and overweight among children have been positively linked in Texas and nationally. Thirty-one percent of low-income Texans report being unable to feed their children balanced meals ―sometimes or often. Without the means to purchase enough food, families adopt coping mechanisms, like reducing the quality of food purchased. This strategy makes financial sense: nutritious, fresh, unprocessed foods cost more than ten times the price of energy-dense junk foods on a per-calorie basis. As a result, families served by the Texas Food Bank Network spend an average of $466 less on healthy foods annually compared to the average Texas family. Considering the "return on our investment" in the health and well-being of children and families ought to prompt us to action out of our own enlightened and pragmatic self-interest, leaving aside the humanitarian and ethical factors that should also be involved. Sometimes it seems to me that we just don't get it. Designing 1011 S. Akard. . .here we go again! Last Saturday, Central Dallas Ministries and the Central Dallas Community Development Corporation, along with the assistance of brown architects, hosted a design charrette to receive comments on the re-development of the old Plaza Inn building located at 1011 S. Akard, just outside and adjacent to the I-30 canyon that runs south of Downtown Dallas. The almost 4-hour event provided us the opportunity to present our current plans for the building. It also provided stakeholders from the Cedars Neighborhood Association and business owners in the area to ask questions, voice concerns and provide us with much needed input on how the building should be renewed. We were very fortunate to be joined by Dallas Mayor Tom Leppert (pictured above left), City Council Member Pauline Medrano (pictured below left) and Mike Rawlings, Homeless Czar for the city. We hope to provide over 300 new units of housing that would include units affordable to a broad range of tenants, including at least 50 units for formerly homeless persons. In addition, there would be a substantial number of market rate units available in the facility. Ted and Larry Hamilton, the current owners of the building, have been working closely with us on the project. The Central Dallas CDC has the building under contract and we intend to apply for another round of low-income housing tax credit financing. I'll keep readers updated on progress! For the past 15 years we've struggled on almost a daily basis with the notion of "community service" and its place in community development and the pursuit of a more just, equitable society. Often service opportunities flow in just one direction: from communities of material wealth to communities of material scarcity. Most service options at the local level provide the greatest actual benefit to those performing the service, rather than to those receiving it. Early on we recognized the enormous value of inviting low-income neighbors into the mix of community service and activism. Lots of debates, even arguments, resulted from our rather unorthodox, at least for Dallas, decision to invite the poor into the process of community service. Now comes encouraging news about the proposed Serve America Act that will come before the new Congress in the near future. For a helpful summary of the bill's contents and an outline of its goals, read more here. Co-sponsors of this legislation include Senators Hatch, Kennedy, Cochran, Clinton and, then Senator Obama. The bi-partisan legislation would place an additional 175,000 community folks into positions of service and community improvement across the nation. Much like AmeriCorps, this additional national service force would include folks from low-income communities. I would urge your support of this legislation. Write your Senators and your member of Congress today to express that support. Involving low-income communities in national renewal at a large scale will affect much needed change in our inner cities. I know this from my experience here in Dallas inside my own shop. The current economic crisis has us worried. Its impact on the poor and on the inner city could be devastating beyond what we can imagine. Frankly, it is beyond amazing that all of this has happened to our nation. We are now reaping a harvest prompted by greed, selfishness and unimaginable lack of concern for the whole that is our national community. 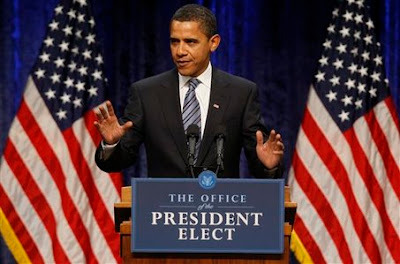 On Thursday, President-Elect Barack Obama made a major speech on his vision for economic recovery. He didn't pull punches. He told us the remedy would be hard, a real national challenge. He called for putting good ideas ahead of the tired, worn partisan battles of the past. He didn't blame. He led. He spoke the hard truth about the depth of the current calamity. He spoke of building a "green" infrastructure for the creation of a new national economy. He turned our attention to the education of our children, our future workforce. He ruled out "earmarks." He spoke of comprehensive economic systems change relative to regulation reform. I've talked to a number of people who were most impressed by his words, both Democrats and Republicans. The speech is worth your time. You can listen to our new president by dropping in here. I talked to a dear friend who had heard the speech. He has been a long-time Republican and a successful business leader. He was excited by what Senator Obama had to say. We all need to prepare for sacrifice. We all need to pull together. We need to return to a basic principle that we've come to cherish in inner city Dallas: we think first of "us" rather than "I." I heard him say that we must "look out for one another." Sounded just like home to me. I'll pray for him in church today, as I did for President Bush so often. I've always felt that making a profit on health care services, especially for the poor and most vulnerable, just didn't pass the ethical "sniff test." I know I'm likely in the minority on this one, or maybe not. Several years ago, I got into a conversation with a very bright young business man. Somehow the subject of universal health care came up. I'll never forget his words, "Some people actually believe that health care is a basic human right. Can you believe that? That everyone is entitled to health care?" I also remember that our talk came to fairly speedy end after I voiced my opinion about the matter. Along these lines, hats off to The Dallas Morning News for its four-week series, "State of Neglect." You can get to the ongoing report here. The timing is perfect just as the Texas Legislature prepares to open its 2009 session. So far the report reveals how the State of Texas has aggressively "outsourced" health benefits coverage for the poor, the disabled and the elderly to the private, for-profit insurance industry--in this case, Evercare of Texas, a division of UnitedHealth Group. To say that the company has under performed would be a great understatement. If you live in Texas, you'll want to read the report. The result of this outsourcing has been neglected patient care, an incredible lack of responsiveness, inferior services for those who need them most and amazing profit for corporations and lobbyists who work on their behalf. "This month the Texas Legislature will open its 81st session with a $10 billion budget surplus. Many leaders have called this the happy result of a state government that keeps taxes low and regulation light, and that makes Texas, for the vast majority of its residents, a great place to live. "Unless you are hospitalized. Or buy insurance. Or breathe the air. Or engage in any other daily activity that requires state oversight. . . .
"Texas is near the bottom among the 50 states in per-capita spending on health and human services, but it is a leader in outsourcing these functions to private contractors." Frankly, the entire situation in Texas in the health and human services sector is an on-going disaster. Reform is needed, comprehensive, radical reform. It is time we all called for better outcomes for everyone. Diane Rehm's show on NPR always holds my attention. 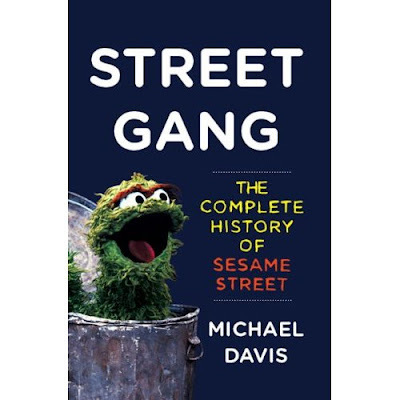 Last Tuesday I found myself laughing and crying all at once as she interviewed Michael Davis, author of the new book, Street Gang: The Complete History of Sesame Street. I "grew up" watching Sesame Street with my daughters! I mean, what could be better than Cookie Monster's rendition of "C is for Cookie"? In my current life I've decided that Sesame Street prefigured all that I've learned and come to know about community and community development in the inner city. I love the title Davis gave his book, "Street Gang." During the interview, Davis read part of the script of the program that delivered the bad news that Mr. Hooper, the older storekeeper, had died. The Children's Television Workshop decided to create a script that would attempt an explanation of death to pre-school children. It is a very moving episode. You can watch it here. I think it is true. Everything we need, and about all that's worth knowing, we learned from Sesame Street. I watched on Sunday as others made their way to the Chancel rail to receive communion. It is a time I always appreciate. No words, just time for reflection and getting to see everyone else who happens to be in church. It turned out to be a powerful few moments for me. On one side of the sanctuary, a father and his two sons knelt together to commune. The dad wrapped his long arms around both of his little boys as they prayed. On the other side of the room, a homeless man knelt to receive the elements by himself. I know both of these men. I couldn't help speculating about just how life probably had been for both. I thought of the two young boys and what an amazing advantage, what a gift their dad was to them. I wondered what had gone wrong with my homeless friend, a fellow who actually lives in one of our apartments. Somehow those surrounding arms stuck in my mind. Those boys have the arms of that father to protect, direct and provide. Somewhere along the line my homeless friend lost all such benefit. Why didn't seem to matter very much as I observed the two men and the boys. What mattered was the gap. The gap that separated them was much wider than the expanse of our place of worship. Our experiences and our blessings--largely outside our control--often define the nature of our lives. What I saw was a telling gap, indeed. Options play a powerful role in defining life. I must remember and never forget. By this time next year I wish. 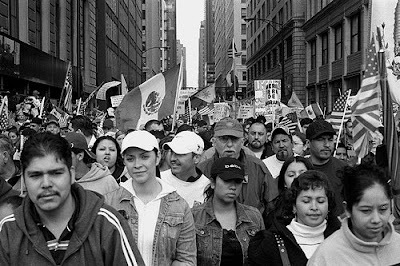 . .
. . .that the U. S. Congress will have enacted comprehensive immigration reform that would provide for the documentation of the millions of Mexican and Central American immigrants who currently work hard to keep things going in our nation without the protection and benefit of legal status. In this regard, I hope that early in 2009 the Congress will send the D. R. E. A. M. Act to President Obama for his signature. The children of undocumented immigrants, like many of my young friends whom I've written about here so often, need protection and legal status so they can remain in the United States as they pursue higher education, military service or both. . . .that a major part of any economic stimulus package passed by the new Congress and signed into law by the new President will include significant provisions for expanded workforce training programs that are accessible in every major urban center in the nation and that are designed to assist low-income citizens to gain the skills needed to obtain and hold a living wage job. . . .that the federal government, in cooperation with states and local urban municipalities, will provide significant tax rebates and subsidies to encourage the pursuit of green energy production by business, private and public sectors in an aggressive manner that encourages and achieves scale as quickly as possible. Note: due to differing tax structures, a state-by-state policy approach will be required. Time for new thinking. . . .that the federal government will create partnerships with local community-based organizations with proven track records in workforce training to create "green job corps" whose members will be enabled to lead the way in turning urban communities green while creating millions of new, livable wage jobs. . . .that the City of Dallas will see the wisdom of providing increased funding for affordable housing development, including scalable permanent supportive housing for the homeless, out of its general revenue budget over and above what outside sources of revenue currently generate. . . .that local leaders will make a compelling case for using some of the promised economic stimulus funds to expand and "fast forward" plans for DART, our light rail public transportation system, to the end that the system is built out more aggressively across more of our community with special attention given to connecting neglected areas of the city to the whole. . . .that faith communities of every variety would embrace a renewed concern for the poor that translates into effective action in terms of both meaningful service and unifed aggitation for systemic public policy reform. . . .that everyone in Dallas would come together to make sure the Dallas Independent School District would work in an optimal way for every student. . . .that the State of Texas would reform the Department of Health and Human Services so that it would get back to actually providing needed care, intervention and support for the poor, our children and our most vulnerable citizens. Hope does that to a soul! Free will's best use. . .
"To many people, free will is a license to rebel not against what is unjust or hard in life but against what is best for them and true." Those words rose off the page as I read. What a line! How many times have I seen their awful truth lived out among young and old, friends and strangers, especially the poor. I can't explain all of the reasons back of this social phenomenon. And, while the principle doesn't apply to everyone, there being numerous notable exceptions to its harsh truth, I can't count the times I've seen the reality at work. It is as if a strange power works in the inner city among the poor. . . .an unrelenting message that nothing can really change and the fact that those who make the decisions about policy and resource allocation always find a reason to vote against those at the bottom and the edges. After a while, after a generation or more, it is hard to move forward in a positive manner. Result: It is as if people believe the lies told against them, about their true selves and, in response, set about in all sorts of self-destructive acts of free will, often almost to prove up the negative assessments. Rather than rising up against the forces, circumstances and rules of their oppressors and critics, they freely strike out at themselves and their peers, making life all the more difficult. I think of a wonderful 15-year-old girl who was about to deliver her first baby. "Now I'll have someone to love me and someone to love, Mr. Larry," she explained to me as if she had hit upon her destiny. Or, the young man hooked on drugs and trying to live beyond his criminal past, unable to make any progress over more than a decade spotted with the same sort of self-defeating rebellion, as if he was living out some prediction about his life he had grown up expecting to come true. People who haven't been "there" don't get it and, frankly, don't really seem to want to understand, often using the negative track records of such personal behavior as evidence of the truth of their stereotypical methods of assessing people. Once in place, this negative feedback loop becomes nearly impossible to interrupt. The sad, powerful truth behind Koontz's line is the reason why community building and including individuals intimately in the life of a group are so central to any effective effort at urban renewal. People who are "hooked" on a group, who belong to something beyond themselves have a much greater chance when it comes to the productive use of free will. When poor people get organized, the world changes. Leaders emerge. Attitudes change. Sometimes anger rises. Health seems within reach. Nothing is easy about the task, but communities can organize against the forces that defeat and press them down. Communities call individuals to account, to a higher standard of performance, to something better, and not in some limited, narrow, moralistic manner, but in ways that actually change the world. Communities drive change both in their environments and in the lives of their members. Free will is an incredible gift whose best and highest use is discovered in that which is both best and true for individuals and for their groups. It is why we work. All the factors line up here, don't they? Disaster hits the economy. The crops fail. Conditions grow so severe that no food can be found. . .anywhere--talk about depression! The father of Judaism, Christianity and Islam starts out broke and on the move, a stranger, an immigrant. He and his wife journey to Egypt looking for options. You know, work, opportunity, a way to survive, to do better, to find and build a life. Abram and Sarai were immigrants. Sort of like another Jewish couple a few thousand years later who fled to Egypt as immigrants fleeing political terror and seeking to preserve the life of their young son and possibly their own lives. When times grow hard and options evaporate, people tend to live on the move. If the Egyptians had known who Abram and Sarai were and were to become, had they known who Jesus was and was to become, how might they have treated them? How might the reception have been different? I'm surrounded by immigrants here in East Dallas, people living on the move, most without "papers." Wonder who they are and who they will become? I haven't read Categorically Unequal, but I plan to in 2009. Not long ago, someone sent me the following synopsis of the book's content. Controversial, no doubt. Worth a careful study because usually this sort of study turns bright lights on subjects we'd just as soon ignore. In Categorically Unequal, Douglas Massey, the Henry G. Bryant Professor of Sociology and Public Affairs at Princeton University, weaves together history, political economy, and even neuropsychology to provide a comprehensive explanation of how America’s culture and political system perpetuates inequalities between different segments of the population. Categorically Unequal is striking both for its theoretical originality and for the breadth of topics it covers. Massey argues that social inequalities arise from the universal human tendency to place others into social categories. In America, ethnic minorities, women, and the poor have consistently been the targets of stereotyping, and as a result, they have been exploited and discriminated against throughout the nation’s history. African-Americans continue to face discrimination in markets for jobs, housing, and credit. Meanwhile, the militarization of the U.S.-Mexican border has discouraged Mexican migrants from leaving the United States, creating a pool of exploitable workers who lack the legal rights of citizens. Massey also shows that women’s advances in the labor market have been concentrated among the affluent and well-educated, while low-skilled female workers have been relegated to occupations that offer few chances for earnings mobility. At the same time, as the wages of low-income men have fallen, more working-class women are remaining unmarried and raising children on their own. Even as minorities and women continue to face these obstacles, the progressive legacy of the New Deal has come under frontal assault. The government has passed anti-union legislation, made taxes more regressive, allowed the real value of the federal minimum wage to decline, and drastically cut social welfare spending. As a result, the income gap between the richest and poorest has dramatically widened since 1980. 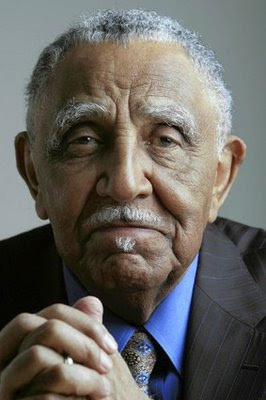 Massey attributes these anti-poor policies in part to the increasing segregation of neighborhoods by income, which has insulated the affluent from the social consequences of poverty, and to the disenfranchisement of the poor, as the population of immigrants, prisoners, and ex-felons swells. America’s unrivalled disparities are not simply the inevitable result of globalization and technological change. As Massey shows, privileged groups have systematically exploited and excluded many of their fellow Americans. By delving into the root causes of inequality in America, Categorically Unequal provides a compelling argument for the creation of a more equitable society. It was my first Christmas without parents. A friend reminded me that this will be my first New Year as an "orphan." It is very difficult, more so than I ever anticipated. Sadness, gratitude, joy and hope all mixed up in an emotional bundle I didn't see coming. This Christmas forced a time of refocus, of realization, of recognition. I expect the New Year will be the same. Both my dad and my mom are gone. Brenda's folks passed away over a decade ago. They were precious people, and very important to me and, of course, to her. She warned me of the surprising emotions that would wipe me out. No warning could really prepare me. You just have to be there, as so many of you know as well as or much better than I. Today I realize, possibly for the first time, just how much my parents loved me, how much they sacrificed for me. This "after-the-fact" realization adds to the burden, as well as the gratitude. I miss them. Not complicated. At the same time, I realize in a brand new way just how much I love those who remain near my side. Brenda and I will have been walking together for 40 years, if we make it until June 2009. Where did the time go? Sounds so trite, but the feelings are anything but routine. She has put up with an awful lot! When we married, she had no idea! She couldn't have been a better partner than she has been and will be. I'm grateful for her. Somehow, again an unexpected result of their both having left us, I am more in touch than ever before about just how much I love her. This death-induced magnifying glass has had the same affect on my heart as I think of our daughters, their husbands and our three grandchildren. My family means everything to me. We are so very blessed. My parents taught me that, tried to help me see it while they were here. It is almost as if their departure provided the last, best lesson about just how important my family is to me, and will be until it is my turn to move on. We are on a journey through life. Those closest to us who accompany us are the most important to us. And, we need other people as well. Friends, neighbors, community members, community life and the support and joy it brings us. I felt and experienced the power of community in the passing of both of my parents. Working to sustain and to expand relationships with other people is a good way to spend one's days. Today, January 2, 2009, my mom would have celebrated her 88th birthday. And, I am at the head of the line now. It feels okay to be "next." What is most important is clearer today as the new year begins. You know, you just see things differently from the front of the line. While I love the excitement and the "feel" of the calendar turning off into a new year, resolutions have never been much help to me. What I find myself needing most has to do with, well, I suppose you could call it "focus." Energy runs right up against focus though! Maybe the way to put it is I'm looking for the energy to discover a new, motivating focus as I move out into what we call 2009. Today I am thinking that the dimensions of my new focus won't be very complicated. Whatever I do, I want to be more inclusive, of people, of new ideas, of different opinions, of new ways of working. Ironically, in order to get clearer and more precise about matters, I need to mess things up even more by including lots of other factors, relationships and data. I need to find new sources of information, developed from a different context and perspective. I need to find new friends who work in fields that are unknown to me. I need to see, to witness new developments, events, happenings. But then, I want to be more on task in the day-to-day stuff. I'm determined to waste less time, to spend the hours I have in more productive ways. I mean, I don't have to be distracted or concerned about everything! Again, there is a tension here. Sometimes inclusion butts heads with mission. But I know that if people become more of a priority for me, this conflict will sort itself out in some very surprising and creative ways. I' ve been here before! So, I want to be quieter, more reflective, more eager to listen and to understand; and not just ideas, but people. If at this time next year I am feeling any satisfaction, even a measure of renewed contentment, I know it will be because I have found new ways to be with the folks who define the focus I'm out to discover.